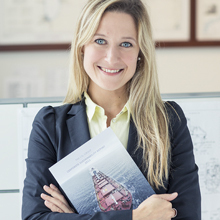 CSL Europe offers a wide range of shore-based opportunities as well as a stimulating and challenging working environment. For more information about shore-based opportunities available at CSL Europe and throughout CSL's worldwide offices, visit the online job board. CSL Europe works alongside partners V.Ships UK and Abojeb Crew Management to offer mariners a safe working environment and good career advancement opportunities. Please visit the V.Ships UK and Abojeb websites to learn about the positions available on CSL Europe vessels, the qualifications needed and the details required to submit an application. CSL Europe works with Clyde Marine Training to recruit cadets. UK cadets are trained under the UK tonnage tax scheme and are sponsored for their full three-year training period. CSL Europe selects deck and engine cadets prior to the onset of their training. CSL Europe works with Abojeb to recruit Filipino cadets selected from marine training colleges and universities. We sponsor the cadets during their 12 month sea phase.